If you have neither the time nor the funds to peruse galleries for original art for the home, this DIY project comes to the rescue in a beautiful way. 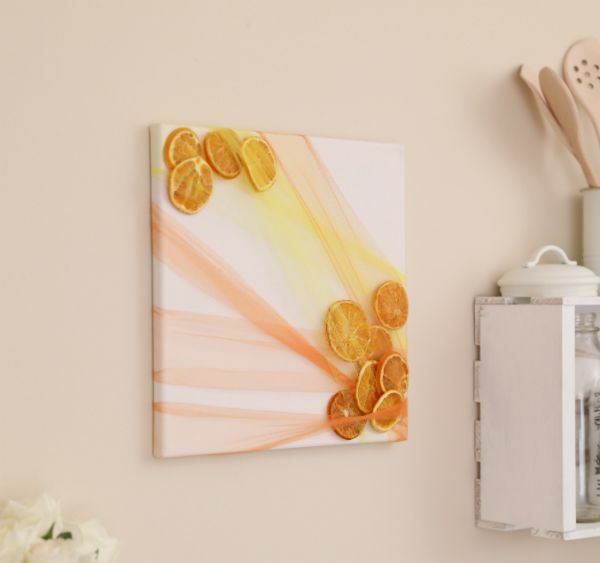 With a bit of graceful tulle, some dried orange slices and a pre-stretched canvas, you can fashion a striking wall accent at low cost. This piece allows for a generous helping of artistic license because you can place the tulle and orange slices in so many ways. You can interpret the idea in various ways, too. Try using lemon slices and yellow tulle or even dried, thinly sliced apples to complement rich, red tulle. The possibilities are endless, and the concept and final product will wow guests. They certainly won’t believe you made it yourself. 1. Place the canvas on the work surface. Cut about 2 feet of tulle from the roll. 2. Crimp together one end of the tulle and glue it to the back of the canvas on a bottom corner. 3. 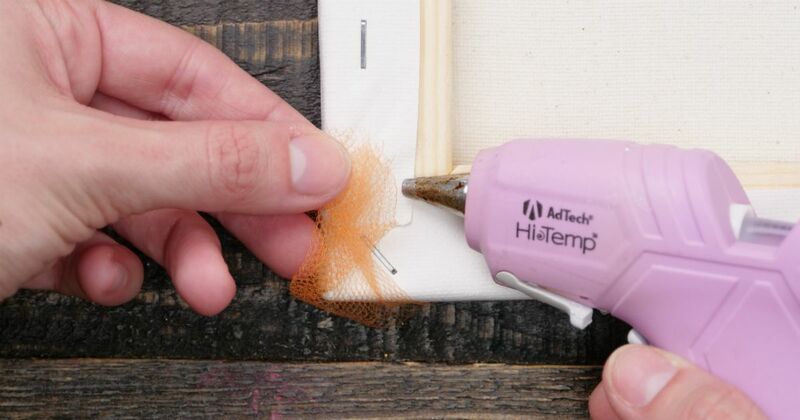 Spread the tulle diagonally across the front of the canvas. Hot glue it to the back side about three-quarters of the way up the canvas, just below the opposite corner. 4. Bunch the tulle that's in the lower portion of the canvas so the color looks intensified; spread out the tulle a bit at the top of the canvas so the color is more diffuse. 5. Cut off any excess tulle with the scissors after gluing. 6. Repeat Steps 1 through 5 about seven or eight times until tulle covers most of the canvas. 7. Place about eight orange slices, one at a time, in the tulle folds and behind the tulle at the bottom corner of the canvas. Situate them so they're secure and stable. 8. Repeat this process, placing four of the slices in the upper section of the canvas diagonally across from the other slices. 9. The piece is now ready to hang.